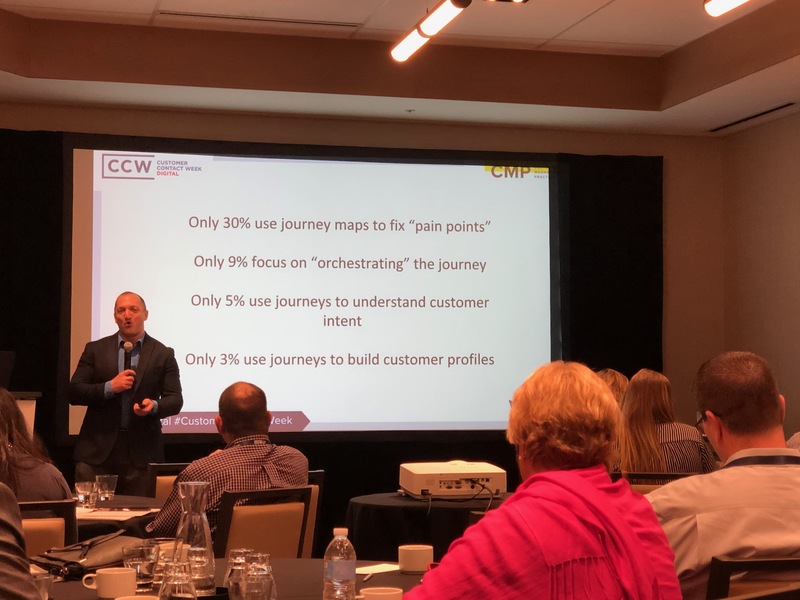 At Customer Contact Week (CCW) Nashville, there were three half-day sessions, one of which was on Customer Journey Mapping. 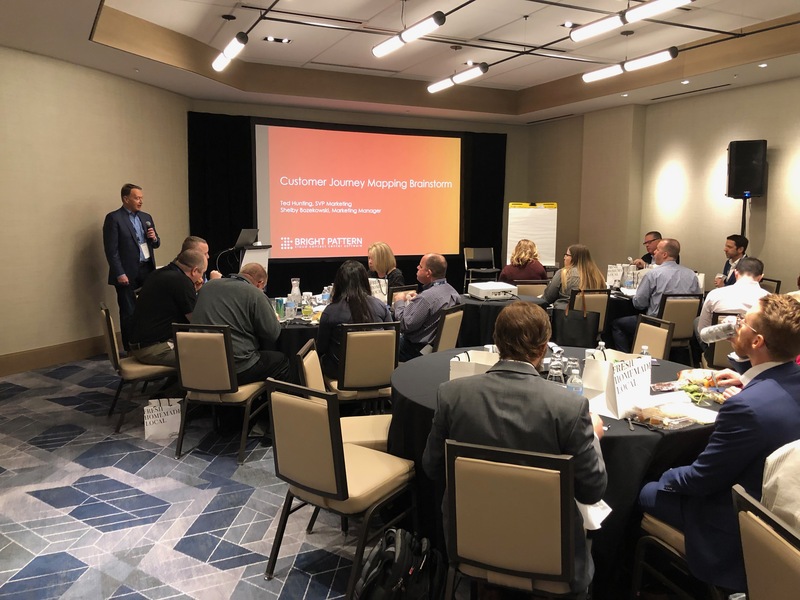 To start things off, Customer Contact Week and IQPC analyst Brian Cantor presented findings from IQPC’s recent journey mapping research. This was then followed by a short Q&A with Hilton, in which they discussed the challenges with customer journeys. The Journey Mapping session concluded with a 90-minute interactive discussion that Shelby Bozekowski and I led from Bright Pattern. It was an exciting day of ideas and I wanted to share some of the key takeaways for those unable to make it to Nashville. 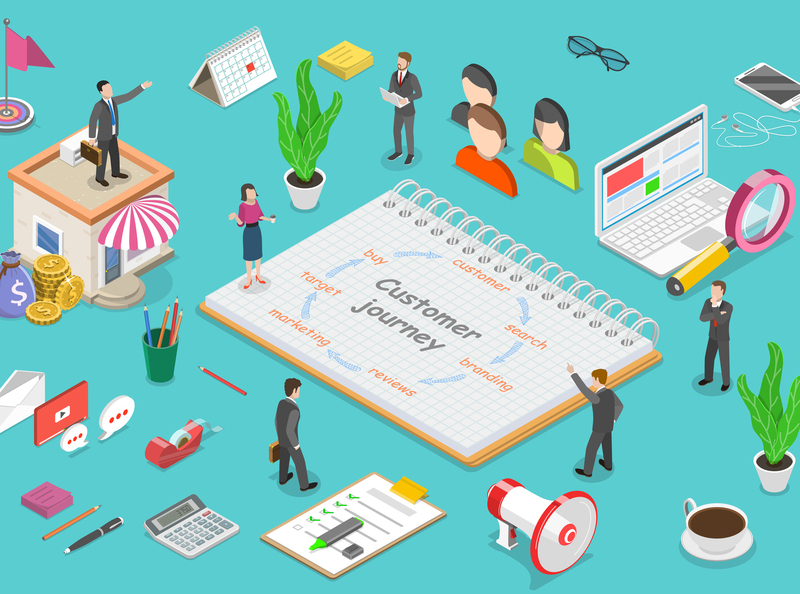 Most companies view customer journeys from a “functional” approach (e.g., sales versus service) but instead, they should look at it from the customer vantage point and the customer lifecycle. Journeys should be evaluated across departments, functions, and channels, rather than just siloed interactions. Good journeys involve recognition when moving between channels. New digital channels and self-service options are good, but the experience needs to be simple and personal. Disintegrated technology remains a huge cause of fragmentation and poor journeys. Customer sentiment should be measured as part of the journey map. To create a great customer journey map, lay a foundation for the journey with an integrated omnichannel contact center. Takeaways from the Bright Pattern Interactive Discussion…. My favorite part of the day was the brainstorming session that we were asked to lead. To kick it off, we first shared some tips for creating great customer journeys. Tip #1: To Create a Great Journey You Must First See the Journey! That seems pretty obvious, but most companies trying to improve customer journeys can’t even see where they are today. One of the keys to creating great customer journeys is to first see how journeys look now, understand where there are bumps in the road, and then smooth out and reduce customer friction in those bumps. Seeing the current journey map is the first step in improving the journey. The journey needs to be be seen at a micro level by a given agent, across all channels, so the agent can act and improve the journey at the individual customer level. 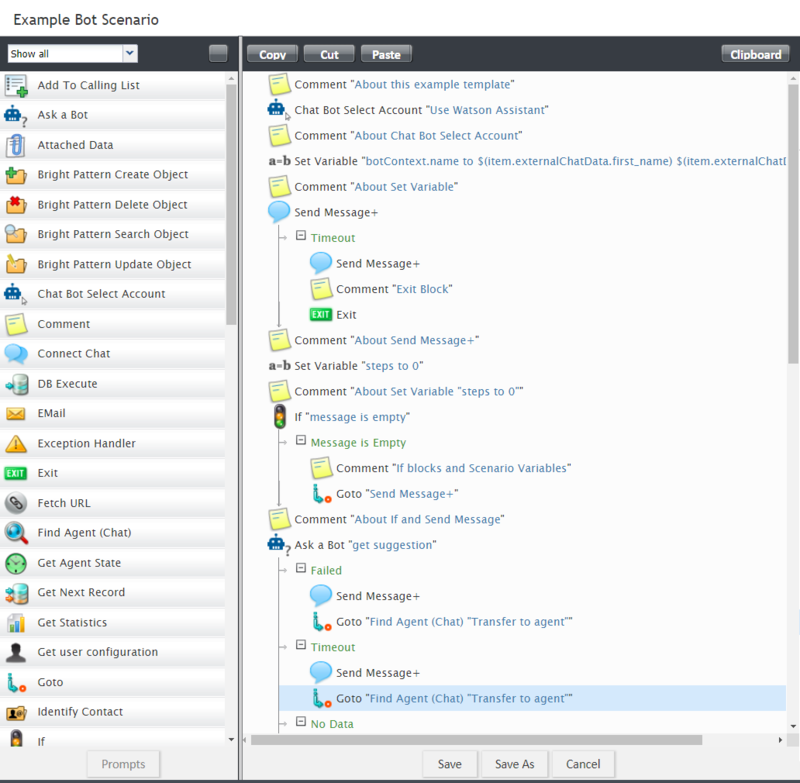 We shared the Bright Pattern omnichannel desktop that lets agents see every interaction across channels from voice to emerging channels likes bots or Facebook Messenger. This was an interesting contrast to the discussion Hilton had before our session, where they are moving from nine call center systems to a single desktop. We also discussed the importance of CX leaders seeing the journey at the macro level—in total by channel, by journey type, or customer segment. This allows channels or journey types with high friction to have their bumps smoothed out, too. Offer simple NPS or CSAT questions at the end of key interactions within the larger journey. Keep it simple and low effort for the customer. These breadcrumbs will later let you see friction at each step in the journey, so the high-friction areas can then be fixed. By seeing journeys and understanding where problems exist, a company can then re-route the journey, so it is more customer-centric, easier, and more personal for each customer. We also discussed Bright Pattern’s Scenario Builder application, which lets business users easily design the scenarios that drive customer journeys from start to finish. Those were some of the initial tips we shared to get the ideas flowing with the group. Can You See the Journey? We polled the group of about 60–70 attendees and asked, “Who can see every step in a given customer’s journey across all channels?” And only one hand went up (1%+). When we asked if attendees could see most steps on the most important channels, 10% answered yes. But when we asked if that capability was in the works, 90% answered yes. So, clearly, a lot of work needs to be done in seeing the journey as a first step on the road to improving the journey. Although few are doing it fully today, the good news is that nearly all are moving in that direction. How Do You Improve the Journey? Next we brainstormed on ways to improve journeys—to make them more effortless and personal. Adding new emerging channels that customers prefer—channels like messengers, text, etc. How Do You Measure a Journey? Next we polled the group on the types of journeys they measure. Do they measure journeys by channel, by journey type (e.g., TV sales versus service), or customer segment? Different companies did all three. Some measured by membership or customer segment, while some measured journey by product type. Measurement by each channel was spottier. The inability to see journeys across all channels was one primary reason cited for this. Journey visibility was siloed, making it hard to measure and improve. Next we did some brainstorming around using the map to navigate better customer journeys. We discussed how maps look today and how to use your map to create a better journey. Look beyond traditional channels and seamlessly integrate new preferred channels, like messengers. Make sure you are mapping and understanding the journeys of your most important customers. This is especially important for new customers for customer retention and loyalty. What Will Mobile Be Like Later? We also discussed that journeys today need to be where customers are. In today's world, we are very mobile focused—journeys need to go mobile. This is further corroborated by COPC’s study last year, which saw mobile CX increasing by 41%. We polled the companies about traditional mobile customer experience as well where mobile could go. We asked how many companies give customers the ability to text your company. Only two companies said they made this available. We then shared an example of how Bright Pattern Contact Center allows customers to seamlessly switch channels. For example, if a customer is talking on the phone with an agent about a TV purchase but needs to hop on a noisy train to get to work, the conversation can be switched to text. If the customer calls back in later, Bright Pattern Contact Center can route the customer to the last person they were chatting with for an effortless personal journey. We then asked about where mobile is going next. With most companies in their mobile app, if you hit the “contact us” it goes to a generic IVR. But today there is a more effortless way to provide in-app communications. It is now possible to talk via chat, video, and voice, all through the mobile app. You can even share documents, pictures, or maps. Most companies felt their journeys were still more “inside out” versus “outside in” and they all agreed they needed to start with customers as part of creating journeys. There was a lot of skepticism on AI and bots and how effective they are for increasing CSAT. Some felt that AI today is best suited for agent empowerment, versus customer-facing bots that are often poorly implemented and create poor CSAT and friction issues. All in all, it was a great half day on journey mapping and forming ideas on how to improve the journey. To get started on a brighter journey of your own, learn more about about Bright Pattern’s omnichannel contact center software and schedule your demo today! Ted Hunting leads marketing at Bright Pattern, a leader in simplifying and innovating cloud customer service. 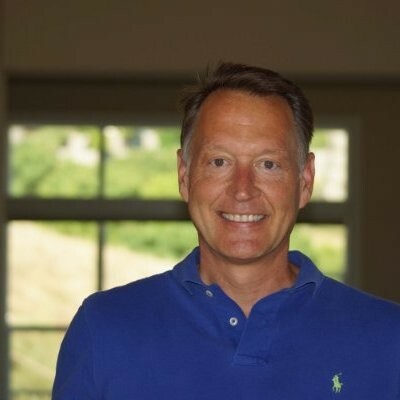 Previously Ted worked at Genesys where he led North America Marketing with over 15 years in the customer experience industry. Prior to that Ted worked for startups and enterprise software and hardware companies in all marketing functions. In addition to his CX experience, Ted has a background in business intelligence and large scale computing systems. Ted is a graduate of the Ross School of Business at the University of Michigan with a marketing and finance background.